Thank you everyone for your amazing support up to this point! Over 33,000 of you have already joined the film’s cause on Facebook with hundreds more joining every day. Over 600 of you donated to the Indiegogo crowd funding campaign earlier this year and brought the total raised to a whopping $114,347, exceeding our goal by several thousand dollars! We’re at a crucial crossroads now with the film. We began shooting approximately 18 months ago and the filming itself is over halfway finished. The footage we have with Sophie, Chico & others is incredible, life-changing material – stories that will be the catalyst in changing the perception and policy of medical marijuana. However, there are more amazing stories to include in the film & exciting research trials to document but in order to finish we need to secure more funding to complete the film in the most powerful & impactful way. – Examine the history of marijuana prohibition and shed light on how a medicinal plant became criminalized and what it will take to reverse course. – Follow groundbreaking clinical trials and research happening in the US and around the world. We have planned a shoot in Jerusalem in 2015 along with filming at various research facilities and academic institutions. – Document the stories of people who are breaking the law or becoming medical refugees in order to access this plant. – Continue following the amazing, inspirational stories of Sophie, Chico and others who were literally sent home to die and then experienced complete remission after treatment with cannabis in conjunction with chemo. – Examine the medical marijuana industry as a whole and how increasing demand is being met by fledgling suppliers and a volatile and quickly growing industry. We believe Weed the People will be a game changer in the way people look at integrative medicine, plant-based cures, and the power of individuals to choose their owns paths to healing and health. 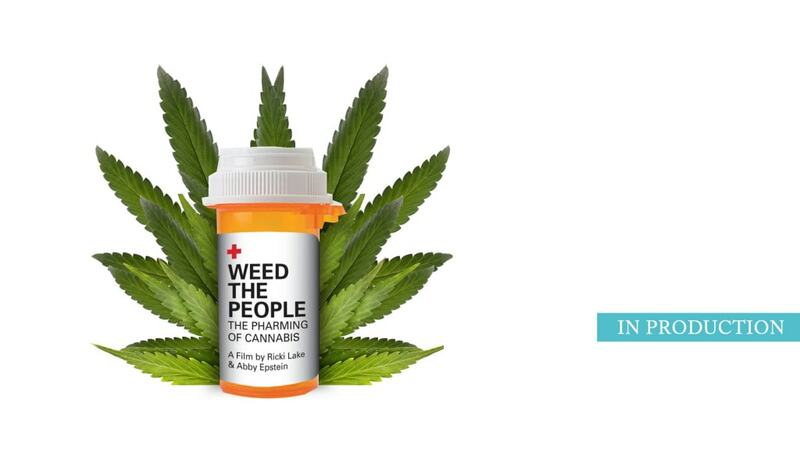 This film will be a major tool in pushing medical marijuana into the mainstream. Once the public sees power of cannabis to fight cancer and other diseases, the demand for reclassification and clinical trials will reach a tipping point. Please join us by supporting the film. Any donation you make is 100% tax-deductible through our fiscal sponsor partner MAPS. Thank you for being a part of this journey. We won’t let you down! Hopping to see the result. I truly hope this documentary to be as good, or even better, as ‘Run from the cure’ was back in the days. I hope this movie will educate people in the positivity this miracle plant gives. I got this story in a link from leafly and I think it’s so amazing what you guys are doing shine the light on this already ! I’ve always been very supportive to medical marijuana CBD oil for children if it’s works why wouldn’t they wants to use it .it’s sad the family have to hide and use it in secret instead of telling the world telling all the families who are going threw the same thing !! P.s where can you watch or buy this documentary?